Making extensive use of archival and other primary sources, David Schorr demonstrates that the development of the "appropriation doctrine," a system of private rights in water, was part of a radical attack on monopoly and corporate power in the arid West. 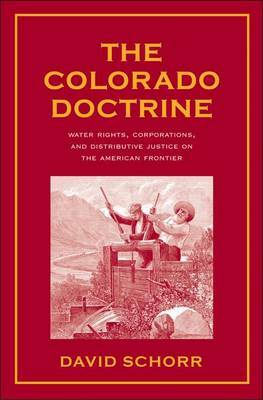 Schorr describes how Colorado miners, irrigators, lawmakers, and judges forged a system of private property in water based on a desire to spread property and its benefits as widely as possible among independent citizens. He demonstrates that ownership was not dictated by concerns for economic efficiency, but by a regard for social justice.